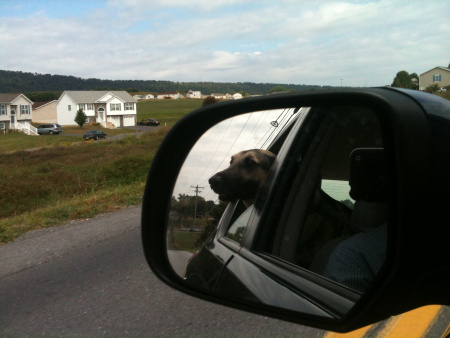 As a dog lover, I know the dangers of letting a dog hang his/her head out of the window of a moving vehicle. But I also know how much dogs love it, and I’ve seen a lot of very happy dogs lately. And they’ve seeing me and my German Shepherd, Rodney as well. When we are out walking, they almost always bark at us. Generally, Rodney doesn’t see them, although he searches frantically. Watching him try to figure out where the barking dogs are always makes me smile. Posted on June 8, 2014, in My life, perspective and tagged 365 reasons to smile, Dogs, dogs in cars, happiness, life, musings, smiles, Thoughts. Bookmark the permalink. Leave a comment.